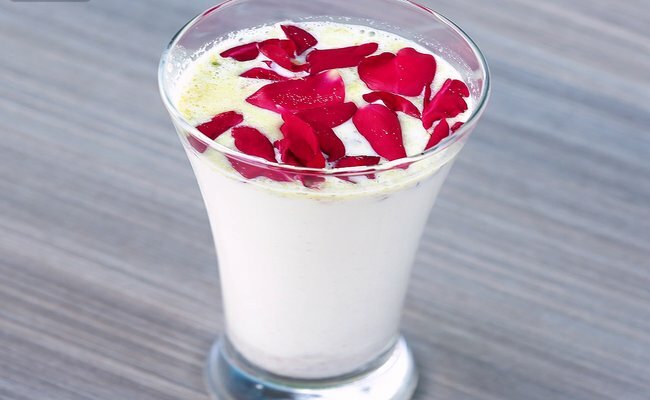 Thandai is sweet and an instant thirst quencher.Due to the presence of fennel and watermelon seeds and rose water, thandai is a coolant like no other. But the health benefits of the drink go far beyond its cooling properties. Holi 2018 is just around the corner and preparations have begun. Thandai is typically consumed on Holi. The presence of saffron in thandai makes it a mood enhancer. Holi 2018 is here and if you're anything like us, you must already be gearing up for a weekend full of ultimate fun with family, friends, colors and water. People are celebrating Choti Holi today with much fervour and enthusiasm. One other feature that makes Holi our favorite festival is the delightful treats of both the sweet and savory kind that are available all around us. Oh and not to forget the quintessential Holi drink- the sweet and sometimes intoxicating cooler, thandai. The Indian drink is a summer favorite prepared in Indian households at the start of the season and consumed throughout. So what makes thandai so incredibly popular? For one, it's like a sip of 'amrit' or nectar during the punishing summer months. There's a small amount of poppy seeds in thandai, which help relieve gastrointestinal irritation and also prevent constipation. These seeds are also nutritious and are good sources of protein, fibre, calcium, fat and minerals. Besides being cooling for the body, fennel seeds or saunf can also cure flatulence. Fennel also has anti-inflammatory properties that can significantly improve digestion. Fennel seeds and rose petals cool the body down and also improve the digestive health of the body. These two ingredients are extremely important as mercury can touch incredible highs in the subcontinent during summers. The summer sun in India often leaves people feeling drained and tired. Watermelon and pumpkin seeds are added to thandai to make it a natural energizer. Moreover, the drink often contains energy-giving nuts like almonds and pistachios, which also promote the feeling of fullness. Spices added to the drink, like peppercorn and cloves are important to boost immunity during summers. Besides these, saffron in thandai has anti-depressant and anti-oxidative properties that lead to an overall improvement in health and well-being. So don't shy away from this delicious potion this Holi.